Are you looking for ways to increase your presence in the market without having to increase the size of your marketing budget? One great way to do this is to create a strategic marketing partnership. 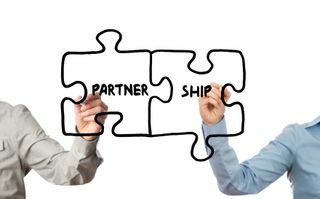 What exactly is a strategic marketing partnership? 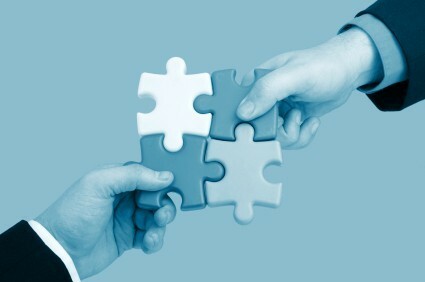 Simply put, it is a partnership you create with another business with the goal of helping you both achieve your goals. In the case of a strategic marketing partnership, it is a simple and effective way for brands to expand their audience. Why would you want a strategic marketing partnership for your business? The real question is, why wouldn’t you want one? This type of relationship is one that can be mutually beneficial to both companies involved, because it allows you access to twice as many customers, contacts, and other businesses that could potentially be partnerships as well. By partnering with another company, you double your exposure, because while you are promoting them to your customers and contacts, they are doing the same for you. In addition to being beneficial for you, it is beneficial for your customers as well. They get access to a larger pool of referrals from someone they already trust. How do you choose a strategic marketing partner? 1. Make a list of products or services that compliment what your business does or sells. What is it that your customers need in addition to your products? Make sure you choose things that are not in direct competition with your business. 2. Find 15-20 businesses that provide the products or services you identified in step one. You can find these businesses through your own personal knowledge or by talking to your customers. 3. Contact these businesses. You know that you hate getting cold calls from people that are trying to “sell” you something, so keep that in mind when contacting them. Try writing a letter instead that outlines what you are trying to do, what the value of it is to you as well as them, and how it will benefit both of your customers. 4. Review the responses you receive back, and determine which business best fits with your company and your marketing needs. 5. Sit down with them and figure out how you can work together and what you both need to do. What can you do for each other to make this strategic marketing partnership work? Share posts on social media. Provide content for a newsletter. Make mentions of your partner on social media. Create a freebie to give to your customers that features both business. Provide coupons/discounts as a way to introduce your partnership to your customers. Make a referral to your partner whenever possible and relevant. Host an event that features your partner. Make sure it is interesting for your customers. It may take a bit of work up front, but in the long run a strategic marketing partnership can be beneficial to everyone involved.